Bake me a picture: Chocolate Extravaganza! My car smelled sooooooo good when I bought this one in to work the other day! 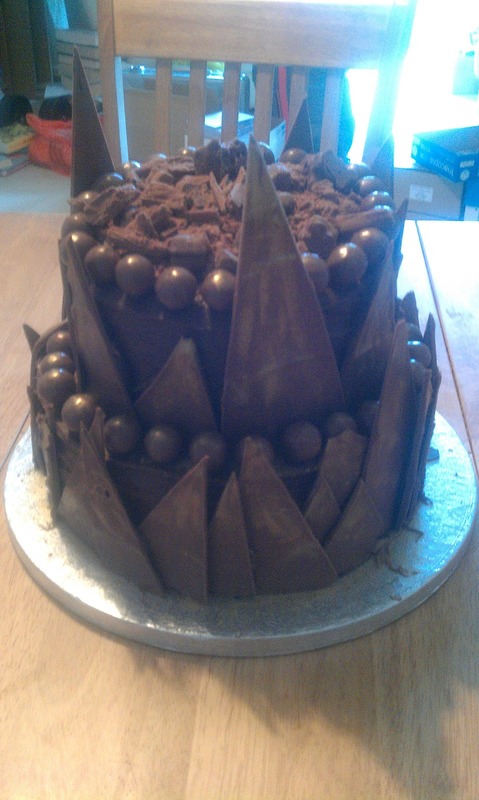 I was asked to make a very chocolatey cake, for a friend at work's chocoholic husband. I was informed that anything cadbury, buttons, flakes, twirls etc were favourites, along with maltesers etc. 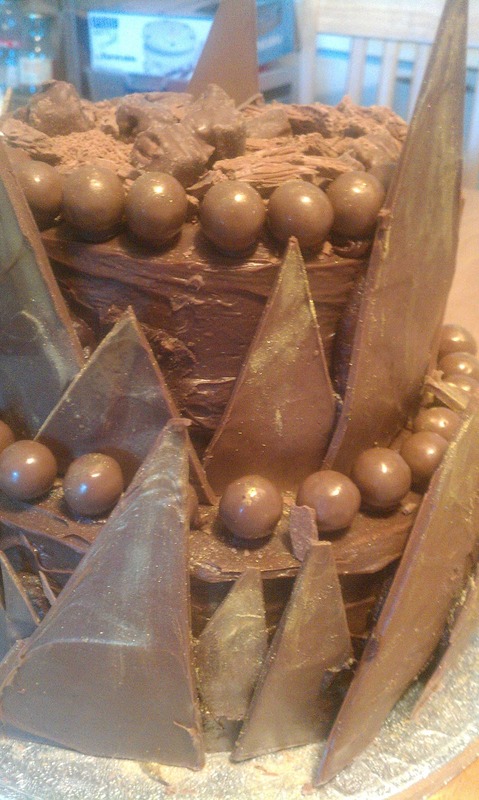 This chocostrocity is what I came up with. 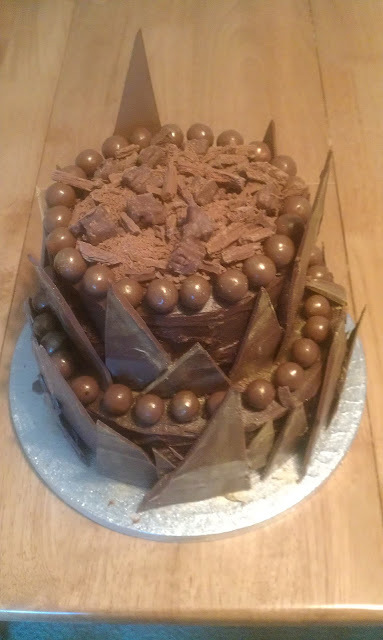 A two tiered triple choclate chip sponge cake, coated with chocolate fudge icing, followed by chocolate ganache icing, and decorated around the sides with some very chunky chocolate shards (I made these using tempered cadburys dairy milk, and fought my boyfriend off with a few spatula slaps to the hand as he tried to steal bits) stuck to the cake using more chocolate ganache. The cake was then topped with various cadbury goodies and maltesers, and I dusted with a little gold sugar glitter to finish it up.